If you think running the most successful social media campaigns only happens with popular brands, think twice, you might be wrong. Social Media is known to be the most effective of almost all the marketing strategies as it is give maximum reach with minimum efforts. Whether it is a small production company or a well-known brand, taking the help of social media for promotional reasons should be a priority. One searches for various tips and methods to run a successful campaign every day. However, experimenting on every tip you come across may not be a good option, you should select the tips that suits your company’s requirements. Here are a few points that you might want to consider for your social media campaign. In the world of Social Media one will get several options when it comes to organizing campaigns- starting from voting contests to newsletters & quizzes. Know your intentions well before organizing a campaign. The result of each campaign varies and so before you start off with it, research well. A start-up needs more visibility than the established ones. So it makes more sense for them to reward their own products or service. An established brand might want to increase its follower base & might run a campaign asking user reviews. Base the campaign depending on what you need from it. There are a lot, free as well as paid, software to help you build a campaign. Choose it wisely according to your budget. Go Mobile- Choose a campaign that’s mobile user-friendly and reach out to more users. A word of advice: Hire a service provider that allows the installation of campaigns everywhere. Promotion is the real reason why many campaigns are successful. There are many ways to promote your campaign & most of them shouldn’t cost you more. When you promote a campaign, the chances that you reach a wider audience increase. The way you design your social media campaign determines its reach. Keep the campaign challenging, give a desirable reward and make it catchy. People will take the campaign forward without you having to tell them. To look grand and to create value, many companies make the mistake of offering expensive prizes like Smartphones and tablets. However, those products might not be related to their brand. Do not do this mistake; give them something that is associated with your brand. Give away your own products, unless they use it, they would never know how good your product is. The kind of products you offer as prizes need not be expensive, but should definitely match up to the amount of effort put in to enroll for the campaign. Social Media campaigns are one of the most attractive ways to grab the attention of your audiences. Don’t stop with just one campaign. Get user feedback; learn from what you missed and create a different & a better campaign than whatever you might have tried earlier. 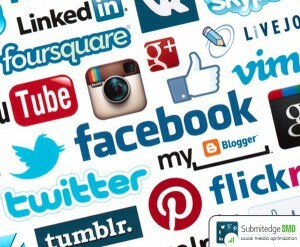 Like any other marketing avenue, social marketing doesn’t guarantee instant success. But if you try, you never fail.